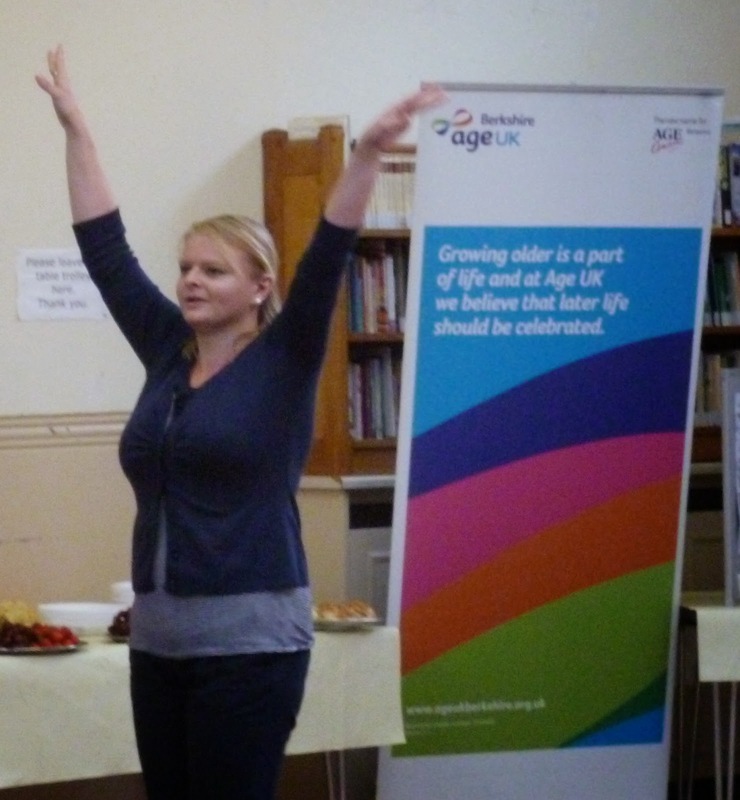 Cllr Sarah Hacker: Deputy Mayor Diaries: Age UK Zumba Party! Today I went to a party! A fundraising Zumba Gold party in fact. Age UK Berkshire had organised a fundraising Zumba Party to raise money for its Active Living activites which include Zumba Gold, Tai Chi, badminton, archery and health walks. The ladies, and gent, taking part Zumba'd for 1 1/2 hours! Put to shame by those taking part, I was pursuaded to join in for a few songs. Lesson learned on Sunday so this time I took my chain of office off! I was also given their 50 Plus guide which is filled with information and I shall find useful in my role as a councillor. Age UK Berkshire have a full timetable of activities and their current timetable can be viewed here. The ladies who did the sponsored fundraiser told me how much they enjoyed their classes and how important it was to keep fit. I couldn't agree more. .....and Des who leads the weekly class.